“Mommy,” she begs, as she is looking at me with those lovely brown, poppy-like eyes, “can you make me tofu, ple-e-e-e-a-a-a-se?” The way she asks leaves no wiggle room for saying no. It is more of a command than a request. And even if I attempt to deny her request, begging turns into nagging as she follows me around the house. I don’t know when, how or why, but both, Sprout and Hubby, fell head over heels (or would it be mouth over heels?) 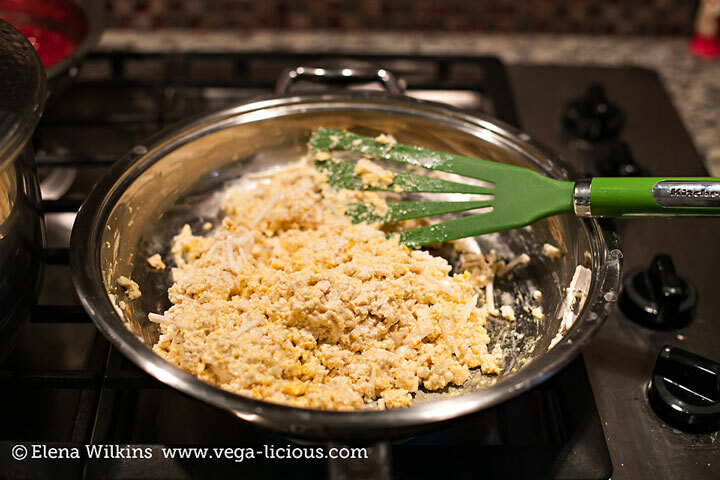 for my cheesy tofu scramble–a look-alike of scrambled eggs–dish Hubby loved before our vegan days, in our previous life. Even my 86-young mother developed taste for this dish. That’s serious, because my Mom loves eggs; yet she never refused my scrambled tofu! I personally never fell for tofu. Never found a good reason to gobble it up by the pound, like my two beloved creatures. I’m not scared of it–it’s not bad for our health, contrary to the anti-tofu propaganda–I simply never developed taste for it. 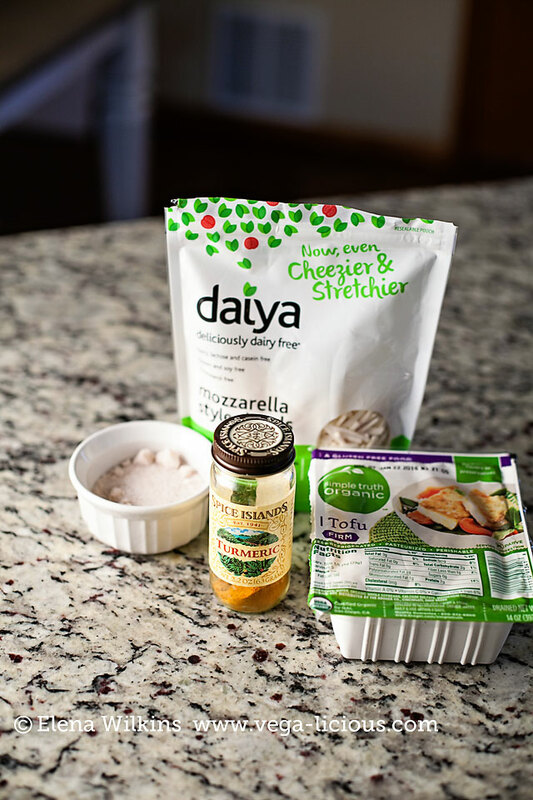 The extent of my love for tofu goes to my delicious (all vegan) Ranch dressing, and an occasional dessert made with silken tofu, especially if it includes chocolate :). But, whether I love it or not, who am I to judge my family for loving my cooking? Isn’t it every cook’s dream? So, I oblige their desire. And, at times, pressured by Sprout, I even get in my minivan, with her in tow, to get the missing ingredient. 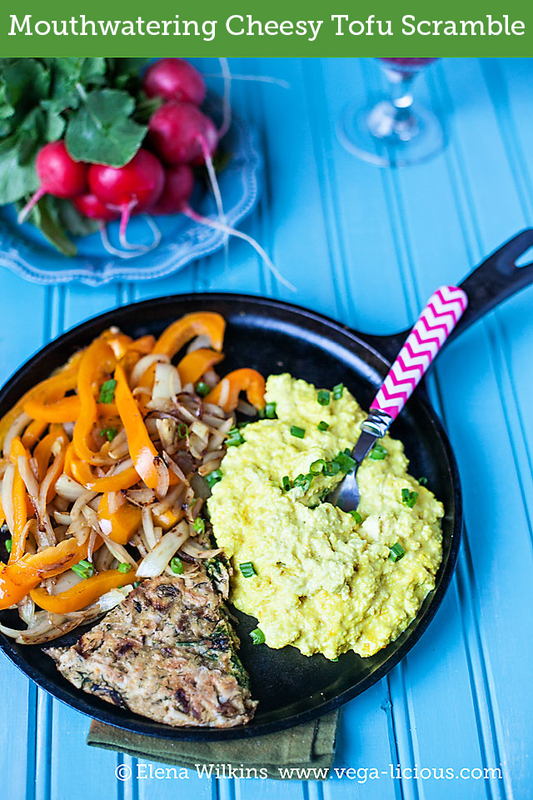 The best feature of my cheesy tofu scramble is that it’s easy to whip up. All you need is 4 ingredients and about 5 minutes of your time and your got yourself a meal. 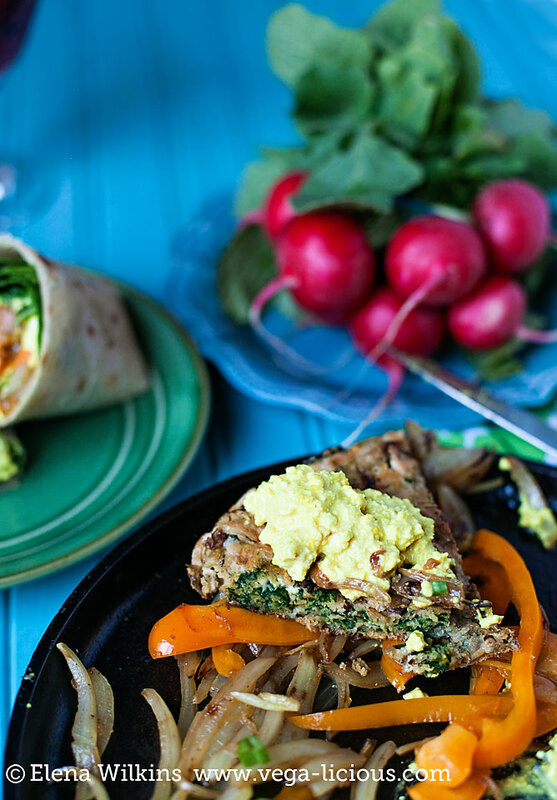 It can always accompany an eggless, gluten free frittata (or climb on top of it for a happier ride to its final destination). 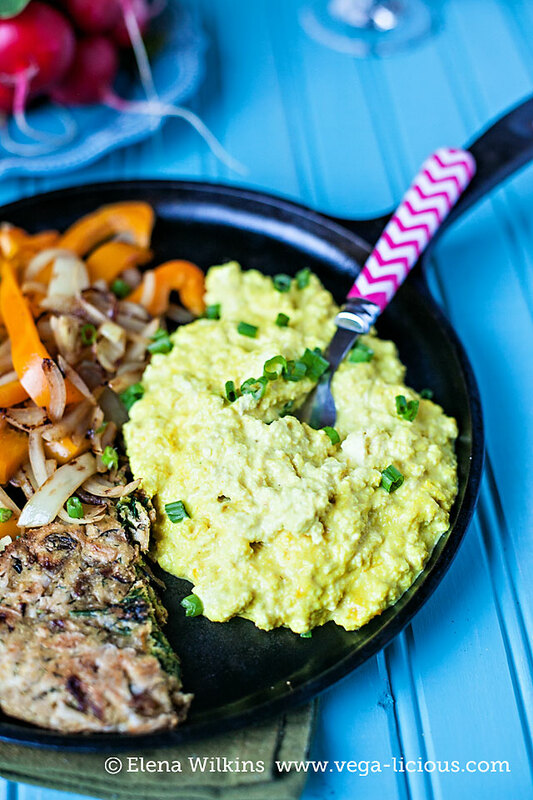 Fresh or sauteed veggies and hash browns are also a great addition to this dish. 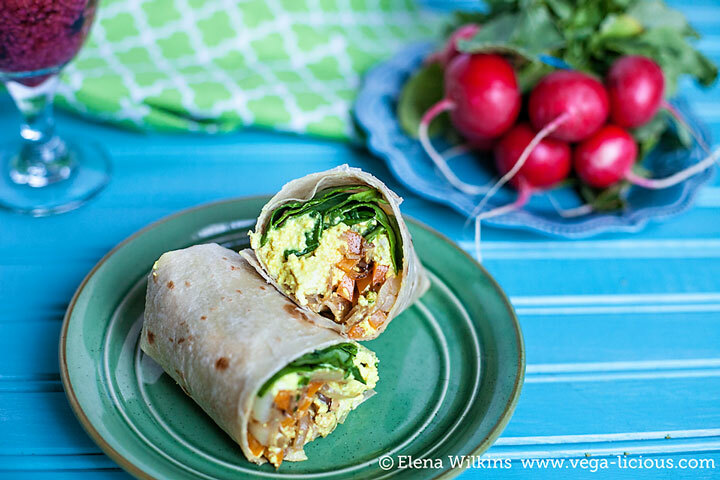 And, one of Hubby’s favorites–a cheesy tofu wrap. He goes bananas for it, because each time I make it, it comes out different. 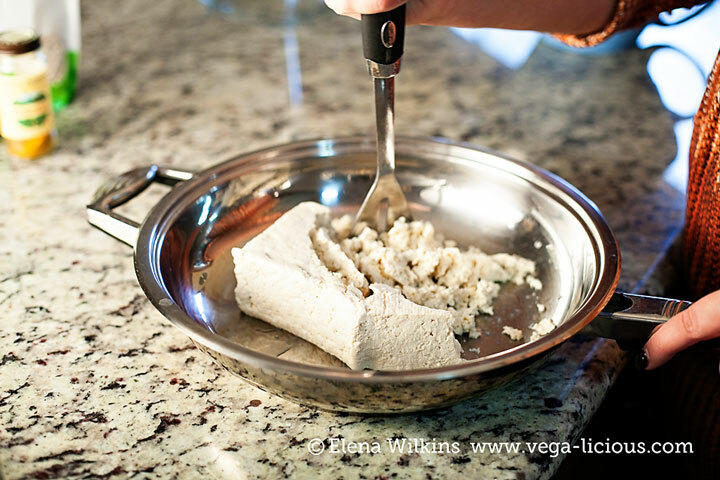 I always change up the ingredients–greens, sauteed or raw bell peppers and onions, tomatoes, cucumbers or pickles, hot sauce, etc.–anything you like can be wrapped with this gooey tofu goodness. 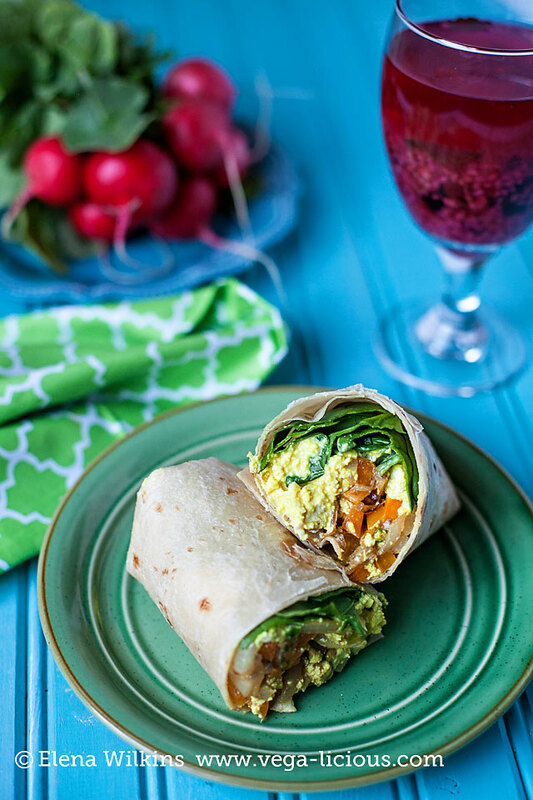 The result is a perfect meal for any time of day–breakfast, lunch or dinner. 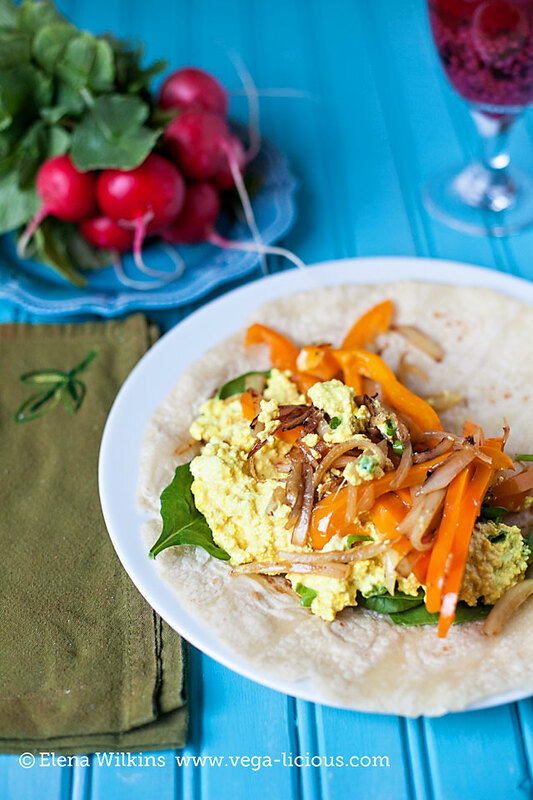 A pillowy, cheesy look-and-taste-alike of scrambled eggs, but 100% cruelty and cholesterol free. I prepared this dish too many times to count--my family loves it that much. I perfected the recipes, so, to get best results, try using same ingredients. Whip it up and let me know what you think about it. 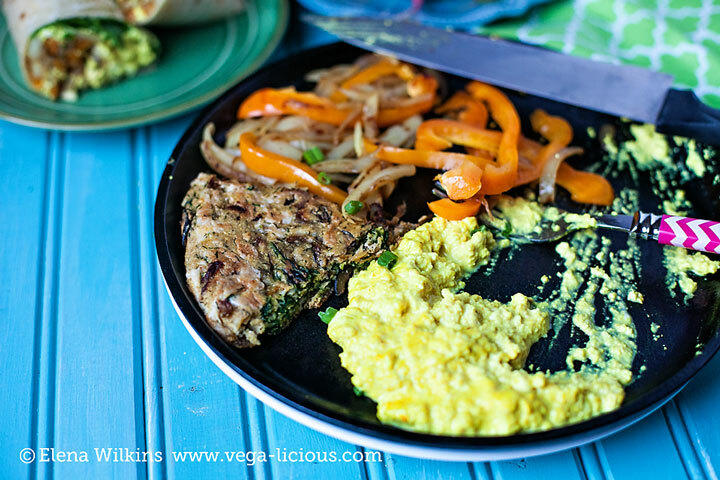 I am especially interested to hear if you are going to get addicted to this cheesy tofu scramble.